Lawyers for Boston Marathon bombing suspect Dzhokhar Tsarnaev are complaining that the FBI is getting in the way of legal counsel’s constitutional rights to meet with their client in private. The lawyers said the FBI has ignored previous orders by U.S. District Court Judge George A. O’Toole Jr. to allow the counsel to meet with the suspect without being monitored. “Defense counsel are thus more convinced than ever of the need for a reasonable degree of privacy and confidentiality for this series of legal visits and request that the court so order,” the lawyers argued. 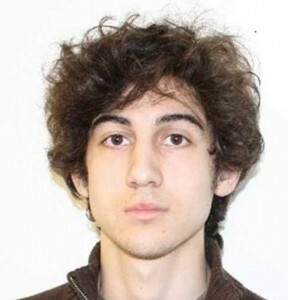 Tsarnaev, who is now 20, is in federal prison awaiting trial on claims that he helped set off bombs on April 15, 2013, that killed three and injured more than 260 near the finish line of the Boston Globe. Posted: 5/6/14 at 8:54 AM under News Story.